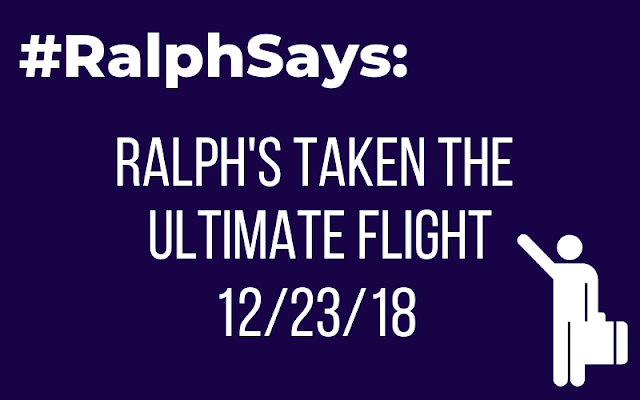 The Birth of "Ralph Says"
Welcome to the first blog post, The Birth of Ralph Says (#RalphSays)...I'm Ralph. Well, OK, I am not Ralph, I'm actually Thea, but on behalf of Ralph, because, frankly, as an 80+, reluctantly-retired Air Force veteran, Ralph doesn't actually know what a blog is, nor can he type very well,.. But this is all fully sanctioned. He is 100% on board with the whole "Ralph Says" Merch concept which is perfect as he has an opinion on just about everything. NOTE: That up there is a picture of Ralph talking a "selfie"....only he didn't actually know he was taking a selfie. He's not quite gotten to grips on how to work his SmartPhone yet (in spite of many tutorials on it). In a spirit of transparency - and complete honesty - Ralph is a cautionary tale. Around three years ago, he sold the security business that he had spent the better part of 30 years building up. The money from the sale came to him in monthly installments and have now run out as of now - July 2017. He doesn't have any savings, investments, pensions etc. He only has his monthly social security payment - which doesn't even cover his monthly rent. By the way his rent has just gone up and is close to $2000 for a two-bedroom apartment. You might be thinking, "why don't you just move him to a one bedroom or studio?" They are actually more expensive than what he's paying now. Many places where we would like to get him into currently have a minimum of a 1-3 year waiting list, so we're now forced to find ways to help him generate some income to keep his head above water. Next you may be wanting to ask him "why did you not plan for your future and retirement?" Ralph has worked hard his entire life. But in the end, (or nearing it) all that hard work, and he has little to show for it, financially. Hence the birth of Ralph Says. Ode to my Dad from Thea Newcomb on Vimeo. Each week, he gets food delivered from Meals on Wheels. Bless them and the great work they're doing. (Hope they can continue to do it). He also has fabulous carers, nurses, as well as social and recreational therapists and so forth - coming to him on a regular basis. This is a great relief to his daughters - Wendy & I (Thea). 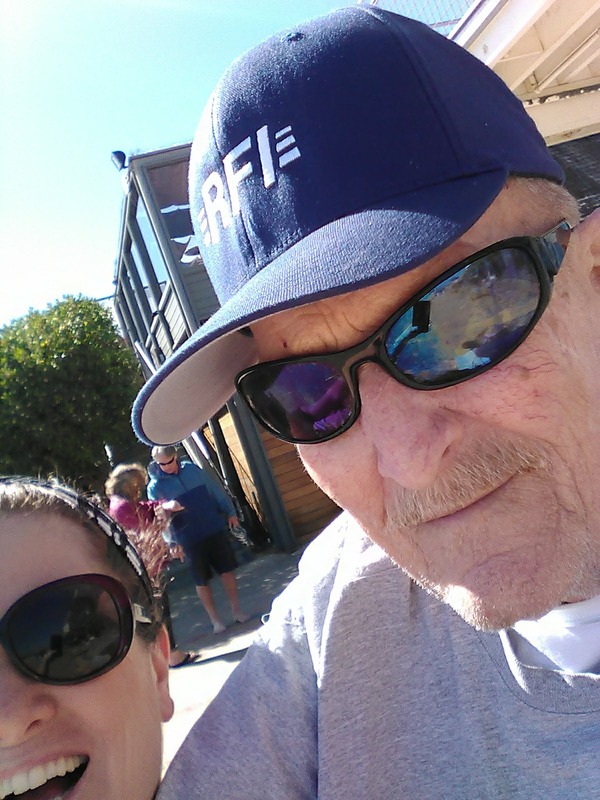 For years now, Wendy has been helping out by visiting weekly, taking him out to eat, doing his laundry and paying some of his bills, but now she is undergoing treatment for Cancer and needs to focus on her own health and well being. Based in Scotland, I take a month out each summer and again in winter to spend time with my father. Some months I am able to help him financially, no problem, but others not. Honestly, there is nothing I'd like more than to be able to support my father financially 100% at this late stage in his life. I'm just not there yet, hence this project. Anyway, to make a little bit of money, we have decided we will make some Ralph Says (#RalphSays) t-shirts and merch - only we don't know exactly what to put on them. Maybe we can find a way to collaborate with cool graphic designers who will make a Ralph Says design for FREE, and then share the revenue of their t-shirt design? Or maybe we'll just figure something else out. Again we are open to suggestions. 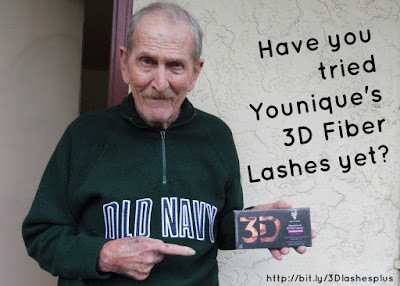 Shop for Younique Makeup like these 3D Fiber Lashes Plus! 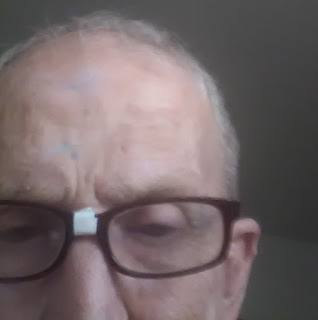 If you'd like to help Ralph now, all commissions via Thea's side businesses - Cards, Cosmetics and Candles will go toward the shortfall of Ralph's rent. Shop Thea's Younique Makeup and Skincare shop. Shop Thea's Phoenix Trading Cards shop. Follow Ralph on Twitter and Instagram and Like the page on FB! NEW: Shops are live on Cafepress and RedBubble. Our goal is only $1000-$2000 a month. With that sum, he could pay some basic bills and of course his rent. A blog will be posted here around once a week to let people know how we're doing on that goal.